Six Russian Tu-22M3 long-range strategic bombers strike Daesh targets in Syria's Palmyra, Arak, As Sukhnah and At Tawbah, the Russian Defense Ministry stated on Thursday. 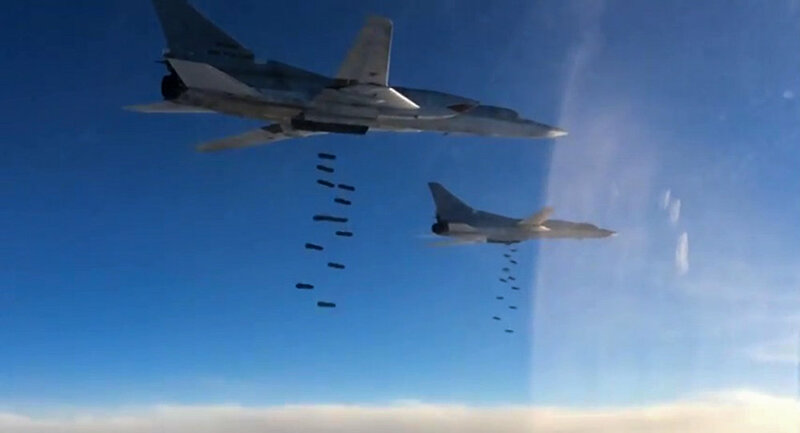 "In July 21, six Tu-22M3 long-range strategic bombers conducted airstrikes on intelligence-verified Daesh targets east of Palmyra, in the cities of Arak, As Sukhnah and At Tawbah. The targeted objects included command posts, troops and terrorists' equipment," the statement read. Due to the airstrikes, two terrorists' command centers, troops and camouflaged military equipment were destroyed. Boosting reconnaissance, especially from space, allowed to detect new targets for airstrikes against the objects of the Islamic State militant group, in Syria the Russian Defense Ministry stated. "To improve the efficiency of the disclosure of terrorist group targets and the accuracy of determining their origin, reconnaissance was intensified in the area, including space-based reconnaissance. Due to intensified intelligence, new terrorist targets were detected and destroyed," the statement read. According to the statement, the aircraft returned safely to airfields after carrying out airstrikes. The US-led international coalition was notified in advance of Russian Tu-22M3 strategic long-range bombers' attack on Daesh targets, the statement added.